Home » Bringing the garden inside » DIY Project ~ Design a Rustic Cottage Getaway … in a Terrarium! 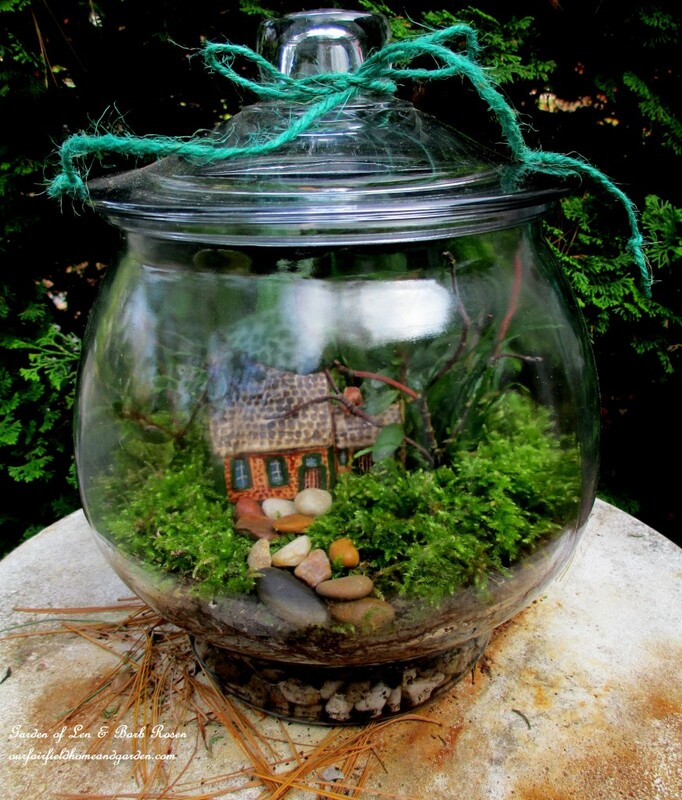 DIY Project ~ Design a Rustic Cottage Getaway … in a Terrarium! Recently, I found a tiny little porcelain cottage at a garage sale and decided it needed a terrarium to call home. Not much is happening outside in the garden this time of year, so working in my garden room has to satisfy my green thumb for the time being. 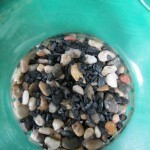 Making a terrarium is a quick and easy project with magical results. This project took me about an hour, and that includes taking the pictures to share with you! So, gather up your materials and join me in some inside gardening. 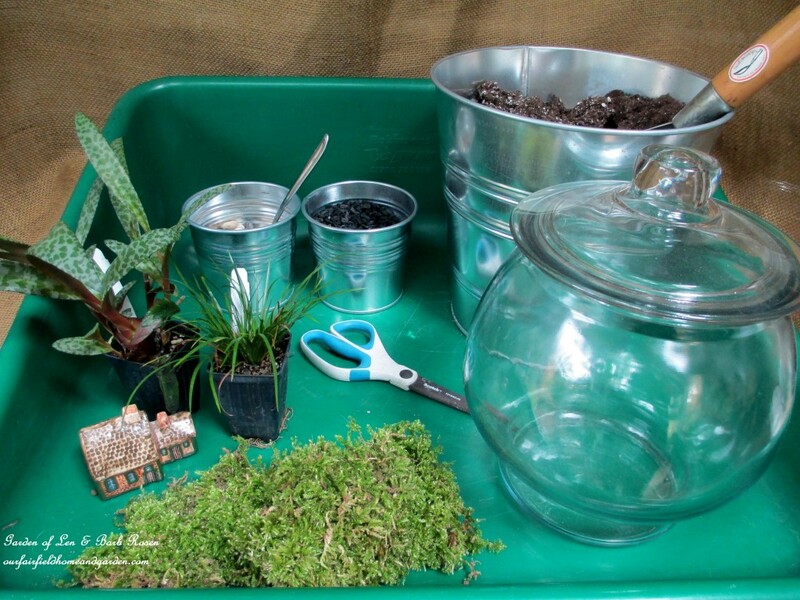 here are all the steps to make your very own terrarium. 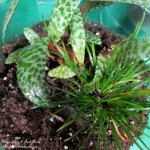 Materials : a container, pebbles, potting soil, deactivated charcoal, a couple small plants (I used Dwarf Flag and South African Squill), moss, a figurine or miniature to personalize your piece. 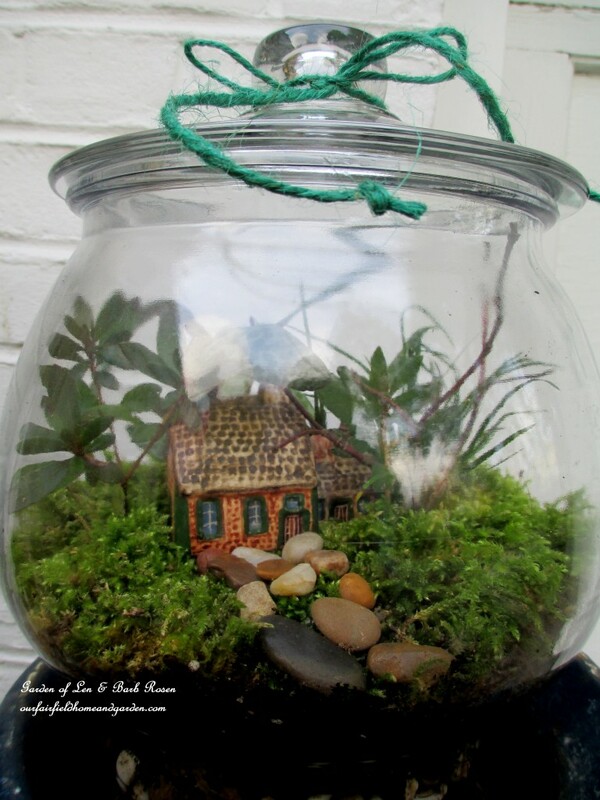 A close-up of my cottage terrarium … so cute! Thanks! Nice of you to take the time to check out my blog and comment too, Karen! I hope you’ll visit again soon! That is so wonderful! I love that it looks like it’s own little world in there! That’s the idea, Danni! 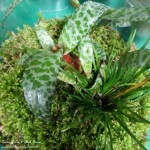 In a terrarium you can create an ideal garden, a magical place. The beauty of it is how small and contained it is and so out of proportion with our real world! Terrariums are one of my favorite ways to add a little outdoor life to the home. And The best thing about them is how easy they are to make. I absolutely agree, Emma ! They are fun and easy to make and I love personalizing them with little treasures.